I love gathering around the table in the evening with family and friends to enjoy good food and conversation. There’s something to be said for being able to nourish your heart and spirit at the same time you are bringing nourishment to your body. I took away a similar message after interviewing Chef Curtis Duffy by phone earlier this week. Chef Duffy is a talented chef who is becoming well known for his thoughtful innovative food. But Chef Duffy also believes in the importance of going back to our roots and to gathering as a family around the dinner table. This is the message that I’m bringing to a special dinner party this week, along with Chef Duffy’s incredible Poached Alaskan King Crab with Cucumber, Wild Golden Char Roe, Floral Cream, and Tangerine Lace (aka, Rock Your World Crab Salad). The dinner party is a virtual one. 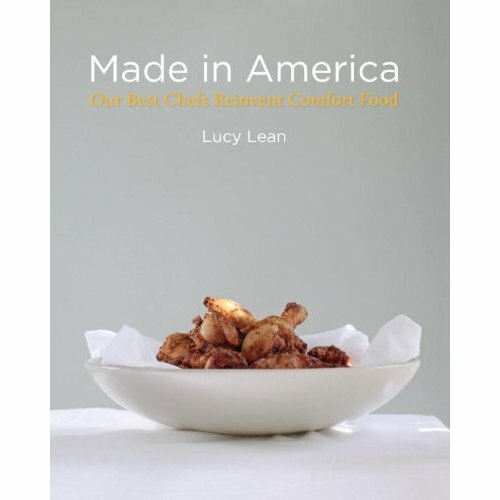 Our gracious host is Lucy Lean, and the occasion is celebrating the release of her new book, Made in America: Our Best Chefs Reinvent Comfort Food. 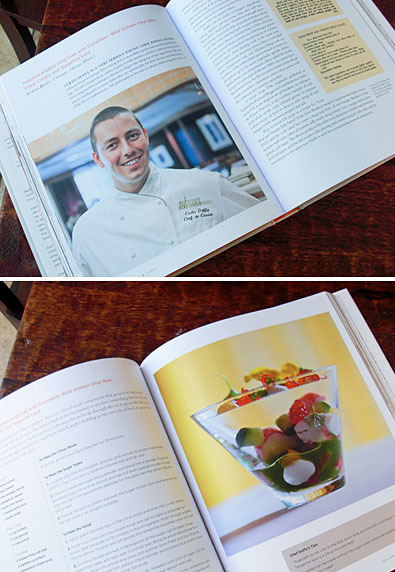 The book is beautiful, filled with more than 150 recipes from some of the most innovate and accomplished chefs working in the US today. 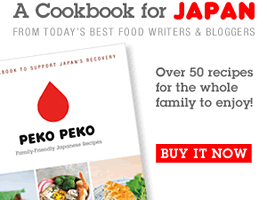 The recipes are favorite comfort foods from 19th- and 20th- century cookbooks from America’s culinary legacy that have been re-imagined by the chefs featured in the book. 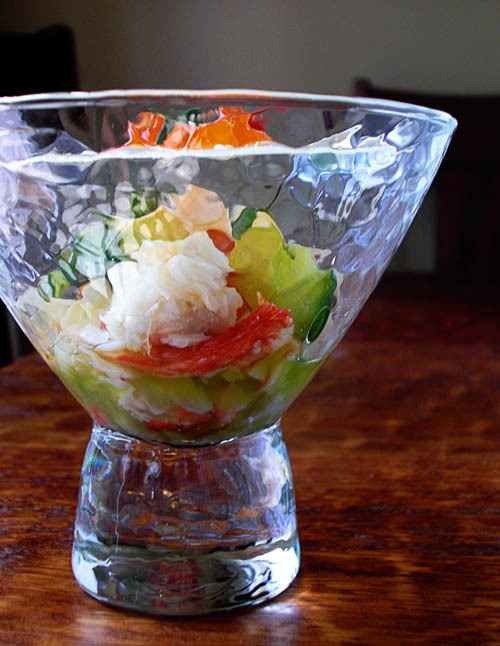 I fell in love with Chef Duffy’s Alaskan king crab salad recipe the first time I flipped through the book. Not only is it visually stunning, but it features fresh flavors that are comforting and exciting at the same time. 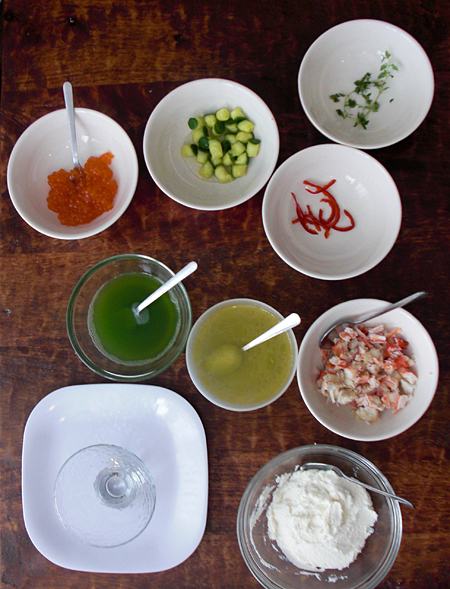 The dish captures the flavors of tender sweet crab, a variety of bright tangy citrus flavors, creamy floral cream, sweet herby cucumber, and salty fish roe all in one bowl, for a mouth-pleasing symphony of tastes and textures. It’s made up of Alaskan king crab poached in a citrus stock, wild golden char roe, a light cucumber consomme, pieces of pickled cucumber, floral cream made with agar agar, calamansi puree, and citrusy tangerine lace. 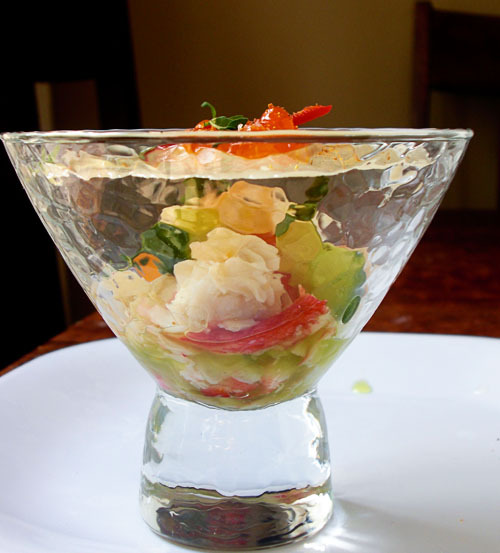 The salad is then topped with a thin sugar tuile “shelf” that’s decorated with a bit of extra roe, the puree and consomme, tangerine lace, some thin slices of red jalapeno, and a sprinkling of salt and shichimi togarashi (Japanese seven spice). The dish looks intimidating, but I can tell you from experience that it’s not hard. The “hard” part is that there are lots of little elements that have to be prepared separately before you can assemble your salad. But each element is totally doable and can be done in advance. Perfect for a dinner party! Eating the finished salad is just plain fun. A sugar tuile acts as a shelf to hold a bit of roe and other goodies. You have to use your spoon to break through the tuile to get to the main crab salad underneath. So basically, you get to play with your food . . . in public! 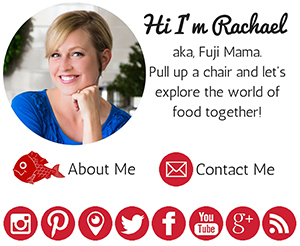 To help inspire you, I’m sharing my interview with Chef Duffy with you. I hope you’ll be as inspired by him as I was! After the interview, check out the video I put together for you, just to show you that making this salad really is possible! And then, because you’ll be dying to try this salad for yourself, I’ve got the recipe for you! I couldn’t find any calamansi (a type of citrus used in Southeast Asian cuisine), so I used calamansi juice. You could use a favorite citrus in place of the calamansi! I also couldn’t find the tangerine lace (a citrusy herb), so I used lemon thyme. Now that you’ve seen how the recipe works, take Chef Duffy’s advice and use what you love and what you have. Now go cook it and eat it with someone you care about, and pick up a copy of Lucy’s book–you will love it! 1. Put all of the citrus fruits and kaffir lime leaves with the white wine (or white grape juice) and water in a large pot and bring to a simmer over medium heat. Let simmer for 20 minutes. Cool, then strain the stock and return it to the pot. 1. Bring the citrus stock to a boil over high heat. When the stock begins to boil, add the crab legs and reduce the heat to medium. Allow them to simmer for about six minutes. Take the crab legs out of the water, rinse in cold water and let cool. 2. Carefully remove the meat from the shells and slice into 1/2-inch pieces. 1. Heat the fondant, glucose, and isomalt to a hard crack stage (300 degrees Fahrenheit) in a small pan. Pour out the mixture onto a nonstick silicone mat and let cool. 2. Place the hardened sugar into a blender and blend into a powder. Place the powdered sugar into a small chinois and tap out even-layered rounds of sugar onto the silicone mat (on a baking sheet) in the appropriate diameter for the glass serving dishes that are being used. 3. Preheat the oven to 250 degrees Fahrenheit then place the baking sheet with the sugar circles in the oven to melt the circles. Once melted, remove from the oven and cool, then remove from the mat. Store in an airtight container until ready to use. 1. Puree one cucumber with the simple syrup in a blender for 1 minute, then salt to taste. Let the puree rest for 15 minutes in the refrigerator, then strain through a cofee filter to remove the pulp. Refrigerate the remaining cucumber juice until cold. 1. 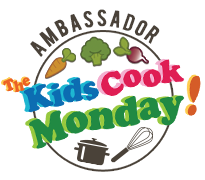 Combine the half-and-half, 2 tablespoons of the sugar, salt to taste, orange blossom water, and agar agar in a small pan. Bring to a boil and simmer for 3 minutes. Strain into a bowl and place into another bowl filled with ice. 2. Once the mixture is chilled and firm, place it into a blender and process to a smooth cream. Taste and adjust the seasoning if necessary. Set aside. 1. Blend the flesh of the calamansi fruit until smooth. Sweetened with a bit of sugar until the puree is well balanced. Drizzle in the olive oil and season with salt. 1. In a small pan, combine the rice wine vinegar, 2 cups of the remaining sugar, and the water and bring to a boil. Cook until the sugar has dissolved, then remove from the heat and refrigerate until chilled. 2. Cut the second cucumber into small plus (mini cylinders), cover with the well-chilled vinegar mixture, and let marinate for 1 hour. 1. Place the crab into a serving glass, layer some of the char roe on top, add the cucumber consomme and 2 of the pickled cucumber plugs. Pipe the floral cream and calamansi puree into the bowl and add a few pieces of tangerine lace. Place the “lid,” or sugar tuile, over the top of the glass and add the remaining roe, a few pools of both purees, and tangerine lace. Add the jalapeno, fleur de sel, and togarashi. Serve immediately, and eat by breaking the sugar tuile into the glass. Bravo!! Take a bow my dear!! That was fabulous!!! The salad looks amazing too!;-)!!! This is a fabulous post with so many interesting parts–the photography alone would have done it for me, but the interview and video are fantastic. That’s a mighty fine looking salad. You almost have me convinced that I could make it. Wow, great video. I think I’d hate to eat it after all that work. Love the color. Wonderful looking, and I’ll bet it tastes good to. Isn’t Chef Duffy great?! I had the pleasure of meeting him back at Avenues in Chicago over New Year’s. We chatted about black cardamom and then one of his sous chefs gave me some to take home! I am so afraid I will never find it again so I am afraid to even open it! Thanks so much for bringing him…I mean his recipe…to the party! Wow, this looks amazing and refreshing. I love crab and this is one of the most beautiful crab dish I’ve ever seen. I bet it tastes just as delicious!